Time to Reflect, Time to Set New Goals, Take Your Crochet to the Next Level! The beginning of a new year is often a time of reflection and making resolutions. This encompasses almost every area of life, and do not let your crochet be over looked. Regardless if you are a professional in the industry of crochet, a hobbyist, or simply an enthusiast, there are simple goals to improve your stitches. Before you set a resolution, first you need to reflect what you have done and the skills you already have. This can be as simple as reviewing all the things you have created in the last year. As a professional you can take stock of how many patterns you’ve written, how many samples you’ve stitched, how many patterns you’ve edited, how many blog posts you’ve written, how many designs you’ve submitted, how many classes have you taught, how many students have you instructed, whatever resembles your business. As a hobbyist or enthusiast you take stock of the techniques and stitches you are most comfortable with, the projects you have completed, and how you felt about the ones you have finished, and the reasons why you did not finish others. After the reflection, you are able to set some goals for the next month, the next season, the next year, or even the next five years. Where do you want your business to be? Where do you want your skill levels to be? What kinds of projects do you want to work on? Do you want to expand your experiences into new fibers? Do you want to attempt a new skill? Determine what you want to accomplish and set goals to attain it. Plan on taking classes, plan on putting your-self out there more, plan on taking chances, and plan on challenging yourself. With simple reflection and goal setting you can take your crochet to places far beyond your dreams. True to its title, this book is chock-full of wonderful accessories that any crocheter would love to make, and anyone would love to receive as a gift. Have you ever bought a book for just one or two patterns that you liked? You will buy this book because you like every project. The eye-catching designs include the Bon Vivant Stockings and the Gypsy Slouch hat. Yarns used in the projects range from laceweight to bulky. Techniques include lacework, color work, Tunisian, tapestry, adding beads, crochet I cord, and textured crochet. The patterns do not have a skill rating, but with both written as well as graphic instructions, even a crocheter with knowledge of the basic skills should be able to complete most of the projects. The back of the book has a section that reviews the basic stitches and a few finishing techniques. 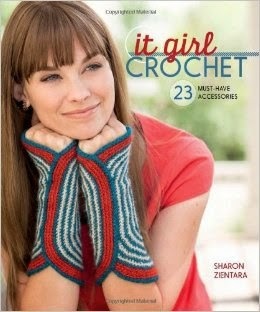 The projects in It Girl Crochet are guaranteed to make you the "It Girl" of your stitching group! Full disclosure: A free review copy of It Girl Crochet was provided by Interweave. Although I accept free products for review, I do not accept additional compensation, nor do I guarantee a positive review. My reviews are based entirely on my honest opinions. "Stick it to heart disease!" That is the rallying cry that unifies this book. 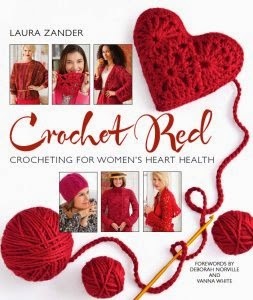 Following on the heels of the successful “Knit Red”, author Laura Zander gives crochet fans equal time with a volume chock full of beautiful crochet creations. The premise of the book is to not only raise awareness about the number one killer of women in the US, which is heart disease, but a portion of the proceeds from the sale of the book will be donated to the Foundation for the National Institutes of Health in support of The Heart Truth®. The list of designers contributing to Crochet Red is a Who’s Who of stitchers from the crochet universe. There are 30 fabulous designs as well as heart healthy tips on diet and exercise, including a few recipes. There is a good mix of wearable fashions, accessories and a few home décor items thrown in for good measure. My personal “must makes” from this book include Marly Bird’s Sweater with Cowl, which is a lacey pullover with a twisted and draped cowl front, Kathy Merrick’s Peplum Jacket (a feast of textured stitches on a classy fitted cardi) and Vicki Howell’s Yoga Bag. Crochet Red is primarily a pattern book, but it does have a brief instructional section in the back for crochet basics, and the instructions are accompanied by photographs. The instructions are all written, no charts. Many of the smaller projects are within the scope of a beginner, but there is plenty here to keep the more experienced stitcher entertained as well. You can feel good about purchasing this book, knowing that part of your purchase goes to a worthy cause. Full disclosure: A free review copy of Crochet Red was provided by Sixth & Spring Books. Although I accept free products for review, I do not accept additional compensation, nor do I guarantee a positive review. My reviews are based entirely on my honest opinions. 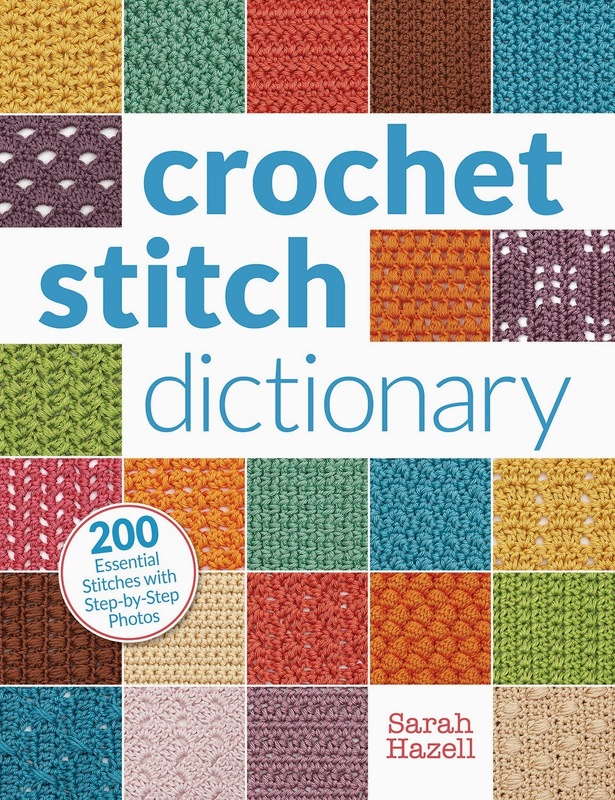 I know I’m not the only crocheter who considers herself a “stitch guide junkie.” I have several dozen crochet stitch dictionaries, in multiple languages, in my collection. Crochet Stitch Dictionary by Sarah Hazell breaks new ground by combining process photos with the standard information typically found in a good stitch guide. The book opens with a Getting Started section that features information about hooks, yarn, and notions. Illustrations and text explain how to hold your yarn, start a foundation chain, and work in rows. The book goes beyond the basics of a stitch guide to include finishing instructions for weaving in ends, seaming, blocking, and caring for your projects. There is also a completely illustrated section with written explanations describing the basic stitches, variations on where to put the hook, and tips for forming specialty stitches such as bullions. The rest of the book is devoted to a directory of stitches. The table of contents features a color thumbnail of each stitch, so they are easy to find. Each stitch features its own introduction, where Sarah shares alternate names, construction details, comparisons to other stitches in the guide, and project suggestions. Each stitch is shown in a large colorful picture against a white background. The stitch explanations are provided in international stitch symbols and “steps.” Each step is equivalent to a row, and includes the explanation in US pattern abbreviations and, usually, one process photo. The book ends with a four-page guide to US pattern abbreviations and symbols and a thorough index. Crochet Stitch Dictionary has a wonderful layout, with clear and inspiring photographs. It offers more details than a typical stitch dictionary, so it would be suited for both beginners and more advanced crocheters. The process photos add great detail, but beginners might appreciate more photographs. The photos typically show where the hook might be inserted, or how a stitch should look when finished, but they don’t show each action within a stitch since each “step” is the equivalent of a complete row. If you already own a collection of stitch guides, you will see duplicates, since this book covers many of the popular crochet stitch patterns used in the US. I wish the font for the row instructions was slightly larger, especially since the layout made good use of white space so there seems to be more room available. However, the beautiful layout and the addition of photos make this a wonderful stitch guide overall. I would recommend it as a general reference book for a beginning crocheter, for a more advanced crocheter with a limited (or non-existent) stitch guide collection, or a crocheter who learns best through photographs. The book is available in print for a retail price of $22.95, and as an ebook on several platforms including Kindle. Full disclosure: A free review copy of Crochet Stitch Dictionary was provided by Interweave Press. Although I accept free products for review, I do not accept additional compensation, nor do I guarantee a positive review. My reviews are based entirely on my honest opinions. The Go-To Book for Irish Crochet Motifs is a booklet by Kathryn White that combines an introduction to the stitches and techniques common in Irish crochet with over 100 patterns for motifs, edgings, and insertions written in modern US pattern abbreviations. If you’ve always looked longingly at Irish crochet but haven’t the faintest clue how to recreate one of those patterns, you will find this booklet very helpful. In the Introduction and first chapter, Stitches & Techniques, Kathryn provides an overview of the basics of Irish crochet. She also shares some tips for simplified, contemporary versions of different techniques or patterns. After the basics are introduced, the book continues with seven chapters of patterns, including one each on Flowers, Leaves, Fill-in Motifs, Edgings & Insertions, Dangles, Overlays, and Fill-in Lace. The next chapter, Irish Crochet Sampler for Fill-In Lace, explains several different methods for assembling Irish lace. The final chapter, Squares & Motifs, includes several larger motifs that can be joined together. At the end of the booklet, there is a one page illustrated stitch guide and charts with metric conversions and hook and needle size conversions. Each chapter opens with a brief introduction and then continues into the patterns. Each pattern includes the skill level and a color photo, created in white cotton thread against a light colored background. I enjoyed having the option of keeping the project authentic or simplifying the methods. Kathryn did a good job of clearly explaining the methods. I would have liked to see more process photos displaying visual techniques. In some cases, international stitch symbols would have been a helpful addition to the book, especially for the patterns that flow over a page. 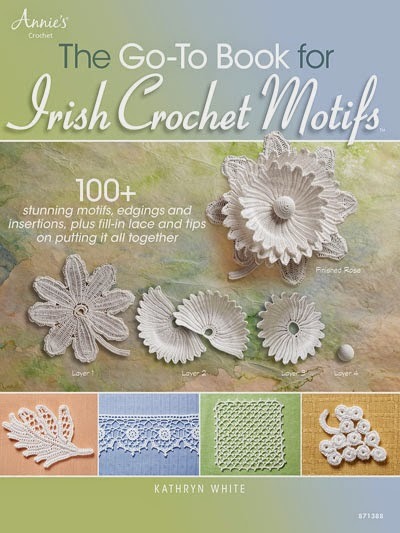 Nonetheless, The Go-To Book for Irish Crochet Motifs does a great job of clarifying the methods used to create traditional Irish crochet while also offering some simplifications for the modern crocheter. This booklet would be most enjoyed by a crocheter who is interested in learning more about Irish crochet, or who enjoys lace. Although all the samples in the book are crocheted with thread, many of the patterns would translate well into yarn for a completely different look. The booklet is available in print or as an electronic download for the retail price of $14.95. Full disclosure: A free review copy of The Go-To Book for Irish Crochet Motifs was provided by Annie's. Although I accept free products for review, I do not accept additional compensation, nor do I guarantee a positive review. My reviews are based entirely on my honest opinions. Open Weave Fashions is a pattern booklet featuring six openwork crochet patterns for women. The booklet includes four women’s tops, a shawl and a hat. Most of the patterns are crocheted in some combination of panels/strips and motifs. The final projects, the Perfect Color Lace Pullover & Hat, are shown in both vibrant, four-color versions and subdued, off-white versions. All of the patterns are written with US pattern abbreviations and are rated at the intermediate level. A patient beginner, comfortable working with chain spaces, could also complete these projects. Most patterns include multiple, well-lit photos showing the projects from different angles on a model; the only exception is the Red Hot Tunic, which is only shown from the front. All of the garments are available in 5-6 sizes. At the end of the booklet, there is a one-page illustrated stitch guide and charts with metric conversions and hook and needle size conversions. This booklet would be most enjoyed by an intermediate or adventurous beginner crocheter who is interested in creating lacy garments with minimal shaping and seamed construction. Like all pattern booklets, the decision about whether or not to buy this book will be largely dependent on personal taste. The booklet is available in print or as an electronic download for the retail price of $8.95. 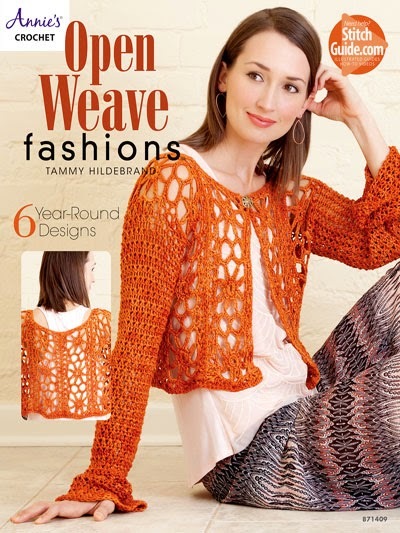 Full disclosure: A free review copy of Open Weave Fashions was provided by Annie's. Although I accept free products for review, I do not accept additional compensation, nor do I guarantee a positive review. My reviews are based entirely on my honest opinions. From the editors of Mollie Makes comes a book dedicated to creating the perfect wedding. The projects are cute and modern. The list includes the wedding day flowers, a ring pillow, invitations, the table centerpiece and even a needle-felted cake topper. If you are planning your special day and need some cute and unique wedding day accessories for your DIY wedding, be sure to check out Mollie Makes Weddings. 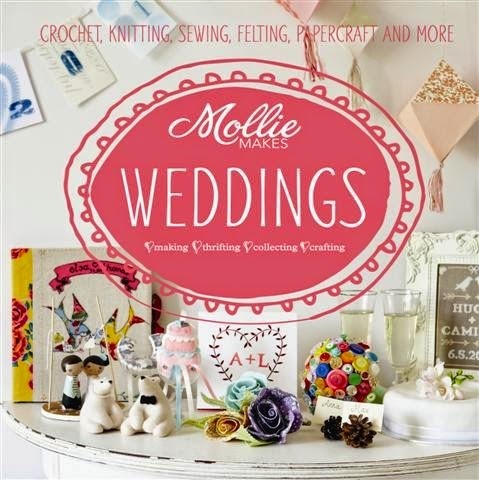 Full disclosure: A free review copy of Mollie Makes Weddings was provided by Interweave Press LLC. Although I accept free products for review, I do not accept additional compensation, nor do I guarantee a positive review. My reviews are based entirely on my honest opinions. But these are not merely all stuffed toys. There are hats, pillows, bags, scarves, hair ornaments, slippers and sweaters. The last chapter, Special Topics, includes how to assure that your projects come out seriously cute, installing zippers and finishing techniques. All of the instructions are written, without charts. My favorite of all is the Tiki Head Bolster. I picture it looking quite beastly, sitting in my favorite armchair. 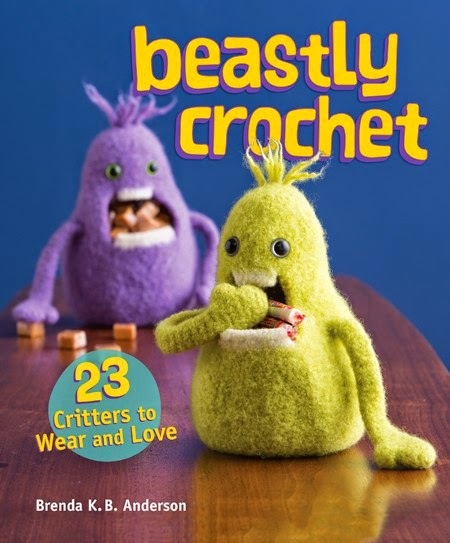 Full disclosure: A free review copy of Beastly Crochet was provided by Interweave Press LLC. Although I accept free products for review, I do not accept additional compensation, nor do I guarantee a positive review. My reviews are based entirely on my honest opinions. The editors of Mollie Makes have compiled a collection of cuteness, including blankets, pillows and tech cozies. The crochet basics section includes reading patterns, abbreviations, gauge and working from charts. The projects include a set of Russian Matryoshka dolls as well as some super-cute monster gadget covers. The instructions are all written, without charts. There are line drawings which illustrate the basic techniques and stitches. There are also sections on surface crochet and embroidery as well as finishing. 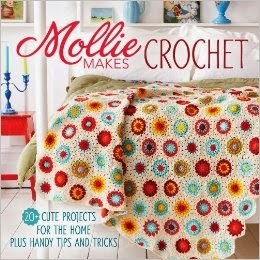 Mollie Makes Crochet is a sweet collection of crochet goodness. Full disclosure: A free review copy of Mollie Makes Crochet was provided by Interweave Press LLC. Although I accept free products for review, I do not accept additional compensation, nor do I guarantee a positive review. My reviews are based entirely on my honest opinions. The theme is floral; the projects, cute. Trench has written a book with 35 flowery projects, many home décor, along with some baby projects and fashion accessories. The book is conveniently divided into three sections based on the level of challenge. The introduction gives a nice overview of crochet technique and includes line drawings to reinforce the textual instruction. The “Starting Out” section in Chapter One includes 13 projects suitable for beginners. My personal favorite is the crocheted Bunting, because, well, who doesn't need a crocheted flower bunting? Chapter two, “Practice Makes Perfect”, has 14 projects, my favorite being the delicate Blossom Necklace. In Chapter three, we move on to “Confident Crocheting”, where we find the remaining 8 patterns, including the ethereal Floral Lace Scarf, worked in fine mohair and edged with colorful blossoms. All instructions are written only; no charts are included. If you love flowers and would like to include them in your craft, Cute & Easy Crochet with Flowers is for you. 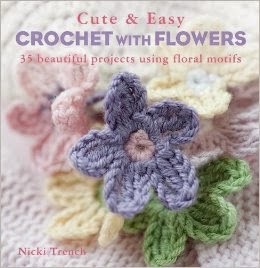 Full disclosure: A free review copy of Cute & Easy Crochet with Flowers was provided by CICO Books. Although I accept free products for review, I do not accept additional compensation, nor do I guarantee a positive review. My reviews are based entirely on my honest opinions. Subtitled Troubleshooting Tips and Advice for the Savvy Needlecrafter, this book delivers on its promise. It would make an excellent teaching tool for a beginner. It’s slightly larger than digest size, so will still fit comfortably into a work bag for reference. There are no real project patterns, but there is a nice stitch directory, including some motifs. This volume includes the typical sections on hooks and yarns, but goes further still, with discussion on International vs US terminology, color theory, yarn substitution and a hook conversion chart. There is a section on techniques, including making buttonholes and set-in pockets. All instructions are written, minus charts. However, the instructions are accompanied by clear line drawings to assist the crocheter in figuring out how the stitches are formed. I recommend Calamity-Free Crochet as a great reference tool in the beginning crocheter’s library. 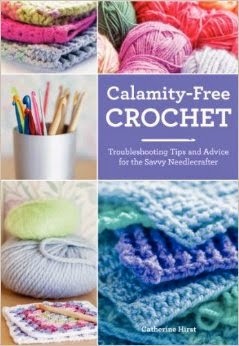 Full disclosure: A free review copy of Calamity-Free Crochet was provided by Harper Design. Although I accept free products for review, I do not accept additional compensation, nor do I guarantee a positive review. My reviews are based entirely on my honest opinions. 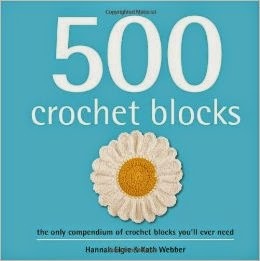 This book promises to be “the only compendium of crochet blocks you’ll ever need”. This little chunky book is packed full of motifs; squares, triangles, circles, flowers and more. Instructions are presented as both written as well as charted, making this book suitable for all stitchers. The size of the book is perfect for tucking into a work bag. 500 Crochet Blocks is a great resource for the beginning crocheter as well as for the more experienced stitcher. It may not be the only book you’ll ever need for crochet blocks, but it will keep you entertained for awhile. Full disclosure: A free review copy of 500 Crochet Blocks was provided by Quintet Publishing. Although I accept free products for review, I do not accept additional compensation, nor do I guarantee a positive review. My reviews are based entirely on my honest opinions. 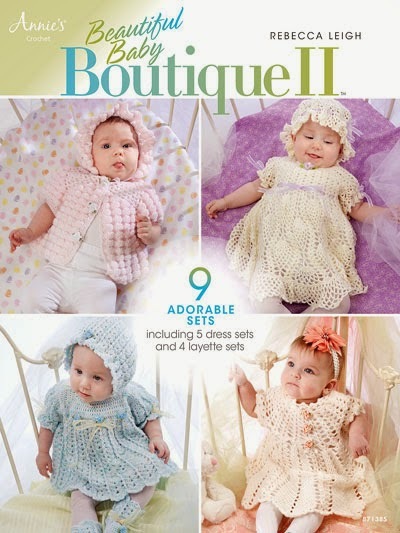 Beautiful Baby Boutique II is a pattern booklet featuring 22 crochet patterns for babies by Rebecca Leigh. The booklet includes five layette sets – each including a set of three coordinated patterns for a dress, bloomers, bonnet, booties, a sweater, and/or hat – and four additional dress patterns. All the patterns are written with US pattern abbreviations, and are rated at the easy level. The dresses and sweaters are all available in at least two sizes (in a three to six month range from 0-18 months). Most patterns are shown in multiple, large photos including one with an infant model. The color and styling suggests that the patterns would be most suited to baby girls. Rebecca uses a range of popular stitch types, such as pineapples, ripples, post stitches, and puffs, to create heirloom-type garments and accessories for newborns and infants. She also uses a range of yarn weights to create different looks, from lacy to highly textured. In addition to the patterns, there is also a one page illustrated stitch guide with a pattern abbreviation glossary in the back. This booklet would be most enjoyed by a crocheter who enjoys making projects for newborn and infant girls, and who enjoys making garments for special occasions. Like all pattern booklets, the decision about whether or not to buy this booklet will be largely dependent on personal taste. The booklet is available in print or as an electronic download for the retail price of $9.95. Full disclosure: A free review copy of Beautiful Baby Boutique II was provided by Annie's. Although I accept free products for review, I do not accept additional compensation, nor do I guarantee a positive review. My reviews are based entirely on my honest opinions. · Know your market. Do some research; see what makes your work special and what is being paid for similar work. You can do this by networking with other professionals, check out government statistics at the Bureau of Labor, check out other Etsy shops or Ravelry stores. · Know your customers. Regardless if you are designing patterns or selling finished goods, or even teaching, technical editing or contract stitching, you need to know what your customer is looking for, and what they are willing to pay. Selling high end crocheted finished pieces may not sell for a desired price at a swap meet or flee market, but may get the price required at a specialty boutique; just as a crochet student may be willing to pay more for a class at a local yarn store then at a local library, everywhere is different; location matters. · Do not just give your work away. If you do not value your work no one else is. It is easier to ask a higher price and change to a lower one if the item does not sell, but it is much more difficult to increase it after the fact. This does not mean that you cannot offer work for free; you may consider doing this for various reasons, but understand why you do. · Remember that you are running a business. If you are taking your hobby to the next step and becoming a professional, you need to treat it like a business. Make a spread sheet and figure out your costs, including a wage for yourself, and then use this to aid you in setting a price for your work. Keeping track of your expenses and gains can help you determine if your pricing is adequate for your needs. · Don’t limit yourself to just the crochet industry, think outside the box. You can use information from other industries to help you, for instance some restaurants set menu prices by taking the cost of materials needed for the meal and then multiplying them by 4, many have found that this formula helps them to cover all the costs they incur. You may find a similar formula works for you business. Obviously this list does not cover all your specific needs, but they are some things to consider helping you in pricing your hobby to a career. Having a mentor and being a mentor are the connections that can create an everlasting friendship as well as enhance the careers of all parties involved. You find this relation in formal situations and arrangements and informal ones, a successful relation is one in which both parties have a mutual respect for one another. 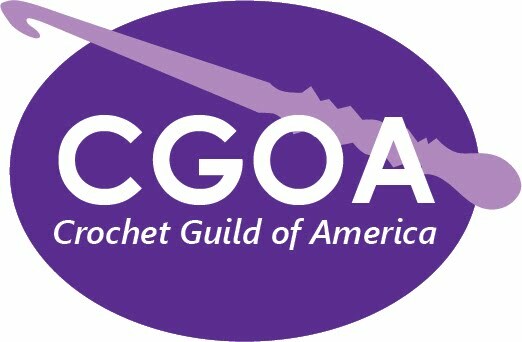 Crochet Guild of America offers a mentorship program, which matches new crochet professionals with established professionals to help enhance the crochet industry, while ensuring that professional ethics and standards are practiced and encouraged. It is these professional approaches that help to bring crochet from a hobby to a career. A new professional can expect their mentor to offer practical advice from their personal experiences; they can expect constructive criticism, and someone willing to point them in the right direction. Mentors will not be teaching, they will not be giving their work away, they will not be opening every door for a new professional; they will be showing them where the doors are and explaining how to turn the handle. A mentor can expect that the new professional is serious about the endeavor, and willing to put in the work necessary to make their goals a reality. A mentor can expect that the new professional is finding answers for themselves as well as asking questions; they can also expect that the new professional has respect for and consideration of their schedule and work, as they are not an answer book simply a guide. To obtain a mentor with CGOA, you must complete an AssociateProfessional Application; which requires that you have already began attempting to work in the industry. After completing the Associate Professional level (working in the industry for 2 years), you can complete the Professional Application and be eligible to pass your knowledge and guidance forward to new professionals as a mentor.